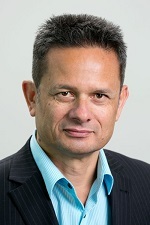 Government and superannuation funds (including KiwiSaver schemes) could miss out on significant global tax relief under draft rules laid out by the Organisation for Economic Cooperation and Development (OECD), according to John Payne, New Zealand Superannuation Fund head of tax. As reported by Investment News NZ last month, NZ Super along with a host of other global funds lobbied the OECD to amend its definition of ‘pension funds’ in proposed changes to the Model Tax Convention (MTC) to include a range of services beyond providing retirement benefits. While it is a non-binding agreement the almost 60-year old MTC forms the basis of more than 3,000 global tax treaties, including for non-OECD states. Payne said a range of New Zealand funds, such as KiwiSaver schemes which allow withdrawals to seed home purchases, could be stuck with higher global taxes if tight MTC definition of allowed pension fund activities stands. However, Payne said the OECD timetable hasn’t allowed the global industry much time to comment on what he described as “the most significant change to the global tax framework in 100 years”. Late in April, NZ Super teamed up with Australia’s second-largest wholesale fund – the Queensland government fund, QIC – pushing for clarity on another MTC proposed amendment. In a joint submission, NZ Super and QIC call for a ‘look-through’ approach to establishing eligibility of non-collective investment vehicles for global tax treaty benefits under a principal purpose test (PPT). The submission says the MTC should include an explicit PPT that clearly defined it as a “purpose” not a “substance” test. “If the principal purpose for establishing a non-CIV investment entity in its state of residence is a non-tax purpose, a non-CIV investment entity should be entitled to treaty benefits, even if the availability of treaty benefits was one of several considerations in determining the location to establish the non-CIV investment entity,” the submission says. Payne said the submission was aimed at protecting current NZ Super arrangements – for example, where it co-invests in offshore property and infrastructure assets – and “future proofing” it for further investment strategies. For instance, he said the three private equity funds, which invested primarily in global property assets, NZ Super recently sold down would have been subject to tax treaty agreements. Payne said it was important for funds such as NZ Super to stake out their place in the rapidly-changing global tax environment. He said the OECD clampdown on Base Erosion and Profit Shifting (BEPS) about to be embedded in the MTC rules was aimed primarily at corporates rather than sovereign wealth and pension funds. The submission calls the MTC to include a definition of ‘institutional investor’ “wide enough to cover recognised SWFs, recognised pension funds and life insurance companies”. The OECD Working Party 1 was due to report back this week on some MTC proposals that would be endorsed at a G20 meeting in September. He said the NZ Super lobbying efforts should benefit the country’s other investment funds caught by the OECD – understood to number some 24 entities as measured by an annual turnover threshold of EUR750 million. As well as the broad BEPS/MTC reforms, the OECD also investigating global tax evasion issues that recently came to light in the so-called ‘Panama Papers’ affair this April.